Privileged accounts like System Administrators and Network Administrators have elevated privileges in a system. Capabilities such as unlimited access, bypassing the audit function etc are part of these accounts. This would give an administrator supreme power in a system. Managing the privilege accounts are important for an organization. We all trust our people, but the regulations of today need every organization to keep records of activities performed, even by the administrators. With the concept of “Trust, but verify”, it is a good practice to trust your employees. At the same time, verify that these employees are not violating the policies set by the organization. Privileged account management solutions come handy here. There are solutions which can help you even record the actions performed by an administrator as a video clip. What are the PAM solution you are using? Enterprise Information Security is receiving a lot of attention these days. Especially with the wide reach of media and Internet, Enterprise Information Security Incidents get maximum coverage in no time. Enterprises and government entities are under continuous attack and many of them have no clue on how to take this forward. These attacks range from website defacement to ﬁnancial fraud to Internet worms and viruses. Exploitability of the common software programs such as Java run time, Internet browsers and adobe reader etc… are increasing in an alarming way. Being Information Security professionals working with enterprises and governments, how do we get this straight? What is the business model and architecture of the organization? What is the information architecture? How does it change hands? What is the technology architecture? Once we have these information, it gives an advantage on how to proceed further with the implementation or enhancement of enterprise information security. Enterprise Information Security policies, procedures and other documentations. The role of information security in the business world is increasing and has never been so important. Failure to ensure enterprise information security is more costly and /or more subject to public scrutiny. Your organization is compared with other organizations as to how secure are the other organizations than yours when there is a security incident, which leads to a brand reputation issue. What are the challenges you have faced in implementing Enterprise Information Security? PCI DSS requirements say many things about network security to make the card holder data safe and protected when it is stored, transmitted & processed. How we can achieve the maximum level of security through network devices? PCI DSS requirement talk about installation and maintenance of infrastructure devices like firewalls, IPS, routers, switches, etc. How we are going to make them secure? We will start with access control. We have to prevent unauthorized access to the scope through these devices. There should be strict policies and procedures to access these devices and data processing facilities. 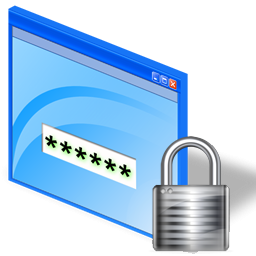 A two factor authentication is an ideal solution to to access these devices. Stricter procedures should be implemented to access the data processing facilities (Physical access to the devices). All the default passwords should be replaced with memorable and non-guessable strong passwords in the operational environment. Access to this equipment should be restricted only to authorized person with unique user id so that the tracking is possible. Apart from this, access to console port and configuration ports must be restricted and controlled. All the unnecessary ports and protocols should be disabled. Also remote access to these devices should be encrypted and enable filtering on gateways. Implement strict policies and procedures for the configuration changes and management. As the time passes we may require changes to the configuration of these devices for short term & permanent. The change request should contain the need for temporary changes and the duration the change needs to exist. After the requirement, the device should be brought back to the original configuration and must be reported to concerned authorities. Always vigilant during this time so that the bad guys exploit these changes to access the card holder data or interrupt the operations. Always adhere to the standards to harden these devices (NIST / IEEE). Keep up to date with latest patches released by vendors. Experiment them in the lab environment and bring them to operational environment as early as possible, maximum within one month. As we know, PCI is very sensitive and critical industry. Even a single minute mistake can take a financial institution to bankrupt and a nation in to financial crisis, we have to keep us vigilant always to make things safer and protected. Hope we can have better sleep by taking all these but not limited to these measures. Whenever we have a new idea to make things better, experiment it, make it fool proof, and implement it for a safer tomorrow. When an attacker targets someone or some organization (target) to obtain or change information using ways that are difficult to detect and exploit. Attackers use advanced mechanisms to perform he same and their persistence gives the name Advanced Persistent Threat. The techniques used by the attackers is the key in these types of attacks and many times use custom exploits designed to infiltrate a targeted network without detection and remain undetected for extended periods. these attacks are often designed by highly skilled hackers and are well funded and the attackers are extremely motivated. Attackers often gather target information using open intelligence mechanisms and social media. High profile targets like executive management or IT Administrators are often targeted. for example, using LinkedIn you can find out the DBA of xyz company and possible establish connection to gain further information such as email addresses and stuff like that. These emails can be used for spear phishing attacks with malware attachments or malware site links. Opening or downloading these infected files might grant remote access to the attacker to the systems used by the victim. Attackers use both zero day vulnerabilities as well as known vulnerabilities depending on the target and other attributes of the attack. Analysts can detect potential APT’s at this stage. Monitoring the email and internet traffic could provide vital information on the APT attack’s in progress. The key detection mechanisms at this stage include, monitoring of the network traffic thru IPS, Email, Internet traffic etc… More than a security analyst, it can be detected by the end user, which make the security awareness education important in the organization. Other things to monitor include the changes in Windows registry files, Changes to the group policy objects, Too many DNS requests to specific hosts or from specific hosts, etc… Monitor for mismatches between the extension of a requested file and the mime type of the file returned, review of visits to uncategorized sites, Monitoring fast requests which results in file downloads like PDF or Java or exe. If the attacker could gain access to the victim’s system, then comes the next phase of attack. The infected host is controlled by the attacker and then comes the advanced techniques like updating the code, spreading the code to other machines, discover and collect target data. Building very strong monitoring controls is the key in detecting an Advanced Persistent Threat attack. In the recent past CSA has defined the categories of security services that can be offered as Security as a Service. The functionalities listed in each category as part of the category definition is looked into in detail. The implementation guidance series tries to define the best practices in the design, development, assessment and implementation of these service categories. The full IAM implementation guidance is available here. The CSA (Cloud Security Alliance) has issued a new guideance with a focus on how security can be provided as a service (SecaaS). This document covers 10 categories of services that can be provided as a service over the cloud. An interesting quite from the executive summary on the adoption of SecaaS "the future looks bright for SecaaS, with Gartner predicting that cloud-based security service us will more than triple in many segments by 2013"
I have been using some of the above services through some cloud services providers such as CloudFlare. Do you use any? What are your thoughts on the Security services over the cloud? Various compliance requirements are emphasizing the importance of the use of data wipe software for secure disposal of hard drives and USBs. Data security mandates such as ISO 27001, ISO 15408, PCI DSS, HIPAA, SOX and European Union Directives require secure data removal. When you delete a file in your hard drive, only the references are getting deleted not the file. This leads to the need of deleting these files permanently. The best way to do that is by overwriting the file which will result in making the data unrecoverable. It is often discussed as to how many times you need to overwrite to wipe the data completely. With the modern hard disks, one overwriting is good enough to clear up the data. However, many others have difference of opinion such as 3 passes or 7 passes are required to clear it up. DBAN is Free software and is released under GNU General Public License. It has both free and paid (from $39.95) versions, where paid versions provides compliance with various regulatory requirements. Jetico offers two different commercial products. First product, BCWipe, which can be used for securely erasing files and folders. It allows you to permanently erase selected files remotely, wipe free space, wipe selected files and folders, wipe temporary files, wipe system-specific data and more. The other product is BCWipe Total WipeOut, which helps you to erase entire hard drives for disposal or decommission. Data erasure softwares are key for the success of any disposla of media strategies. Using the right tools, you will be able to ensure the right compliance required by the regulations. What are the tools you would be using for secure data wipe? The cardholder data breach is not a new thing. It is been a nightmare for every CIO in the world. Dancho Danchev’s blog has an interesting article on how these compromised cardholder data is turned into a physical card. He is profiling a rougue plastic card vendor. His findings are listed below, specifically the cost part. Below you have prices and samples of my products. Plastics have UV Security print on Front and Back. Credits: This post has been reproduced from Dancho Danchev’s blog. Follow him onTwitter.